The Weardale Railway is an independently owned British single-track branch line heritage railway between Bishop Auckland, Witton-le-Wear, Wolsingham, Frosterley and Stanhope. 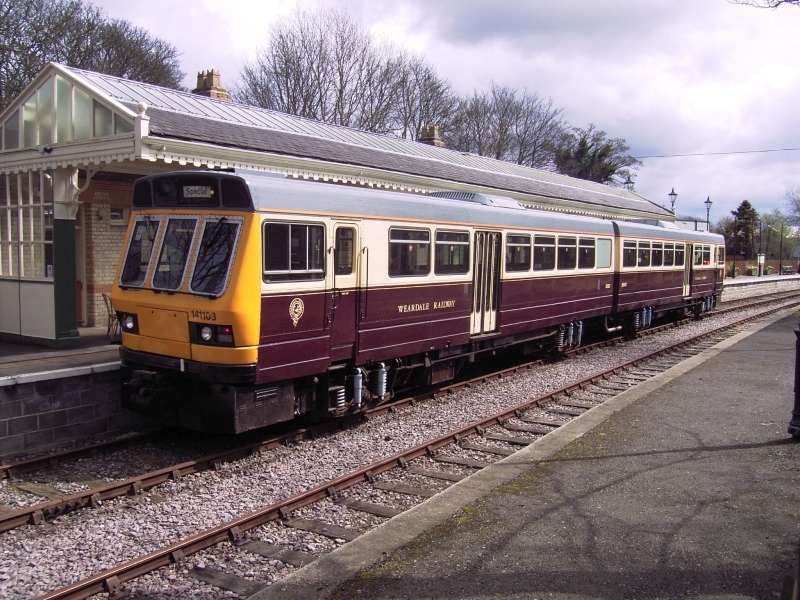 Weardale Railway began services on 23 May 2010, but decided to run special trains rather than a scheduled service for the 2013 season. The railway originally ran from Bishop Auckland to Wearhead in County Durham, North-East England, a distance of 25 miles (40 km), built in the nineteenth century to carry limestone from Eastgate-in-Weardale, and provide passenger services to Weardale. Passenger services ceased in 1953, leaving only freight services to Eastgate until 1992. After the quarry's owner Lafarge moved to road transport in 1993, the line was threatened with closure by British Rail (BR), and it was taken over by a group of enthusiasts. The Weardale Railway currently runs for 18 miles (29 km) between Bishop Auckland and the site of Eastgate-in-Weardale Station, making the line one of the longest preserved standard gauge heritage railways in Great Britain. Please give us your overall rating for Weardale Railway.